Electric vehicles (EVs) are quickly becoming a more affordable and lower maintenance option than traditional gasoline- or diesel-fueled cars for Minnesotans. 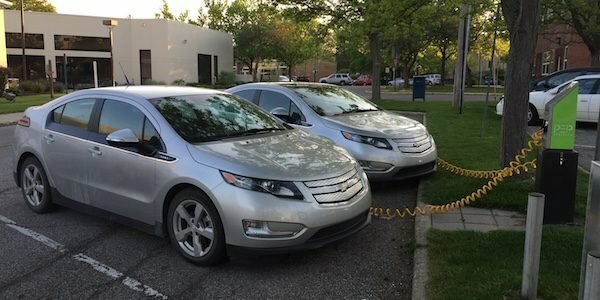 Minnesota is home to over 6,000 EVs. The state does not offer any electric vehicle incentives, exemptions from HOV restrictions, or annual inspections for electric vehicle owners. Minnesota recently passed legislation to charge electric vehicle owners an extra $75 per year to increase road maintenance revenue. Some groups claim this charge represents more than EV owners’ fair share. The Minnesota Pollution Control Agency will administer the distribution of funds for Minnesota’s portion of the VW “dieselgate” settlement, which is $45 million. The Department’s thorough plan calls for three phases, the first of which outlines $1.8 million for EV charging infrastructure consisting of 20 DC fast chargers and 45 level 2 chargers to be installed across the state in 2018 and 2019.